There are so many shows about dead people coming back to life. I could name many, including “Returned”. So, when I first heard about “Glitch”, I wondered whether it was going to be another repeating of the same concept until we – the viewers got bored to death. Digging a bit deeper, though, I found out that “Glitch” is an Australian production. That immediately changed the picture. The Australian TV shows are radically different from the North American ones. And the demand from the viewers’ is very different. Australian TV does not rely on ratings to feed the viewer with something they are not even interested in. Instead, it puts the viewers’ expectations and preferences above all the ratings. And this statement is proved by the intelligent subjects they touch upon in every TV show they make. “Glitch” follows a group of people in the small town of Yooranna who have suddenly risen from the dead. These people have lives years ago – some have had happy lives, others not so much. They have died in different circumstances, but the end they have met is not so peaceful. 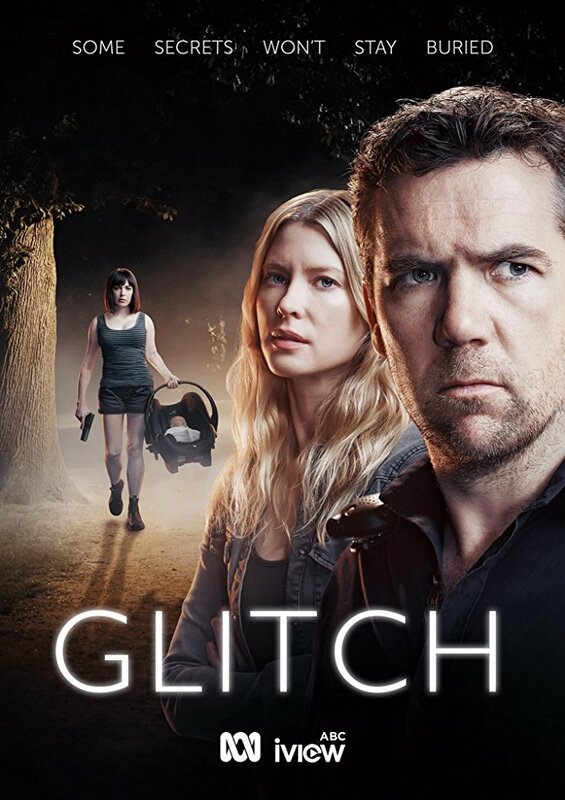 With the shocking cliffhanger in season one, “Glitch” returns with even more powerful storylines. It never repeats itself, cleverly unfolding Elishia McKellar’s (Genevieve O’Reilly) actions and reasons, showing how she dies and is resurrected on the same day. More importantly, the lives of the Risen is threatened by certain individuals, whose duty is to bring the life cycle back to order – where life always concludes with death. Policeman James Hayes’ (Patrick Brammall) wife Sara also dies in the hospital. She is also brought back by some power from the outside that is yet to be explained. However, as her purpose becomes more clear, it turns out to be a wild ride as the viewer is introduced to Kate’s other side – more darker, violent and uncompromised. We’ll learn about Paddy’s mission to make the justice served; learn about Kirstie or even William’s role in why he was Elishia’s first and only choice to be brought back to life. Some things will become clear in season two: no secrets will remain undiscovered; the boundaries separating life and death will shrink, and we’ll see death not as an end but a beginning to something that our human mind can’t easily comprehend. The creators of Netflix’s “Glitch” have done a great job in exploring the matter. The writers could have taken any direction to follow, but they have apparently chosen the right one, which allows the series to be expanded into many more seasons. It’s all because of the right idea – treating life and death with respect and giving dignity to those, who try to prove their points and change people’s minds. While the history itself is written falsely, there is still a chance to be corrected. But how? What will be the price to be paid for people to find out the things that they are not supposed to know? What about the books that need to be written in order to re-write the past. Overall, “Glitch” is one of the best mysterious sci-fi thrillers you will see on TV. It has an intelligent, haunting, polarizing concept. I honestly hope the series will have a long and prosperous life to live. The performance is excellent, the writing is never repetitive, and most importantly – it’s engaging and absorbing, and appreciative towards its loyal viewers.